Pilates has become one of the most popular forms of exercise around the world, in 2005, it was reported that 11 million people across the globe were regularly using Pilates as an effective exercise method. That was 12 years ago and with no new figures released, it is safe to assume those numbers have dramatically increased over the last decade. Joseph Pilates is the man responsible for creating the Pilates movement after self-learning the human anatomy, gymnastics, yoga and bodybuilding, after suffering from asthma, rickets, and rheumatic fever as a child. His answer to these problems was to design a unique series of vigorous physical exercises that help to correct muscular imbalances and improve posture, coordination, balance, strength, and flexibility, all vital components of Chiropractic care. Pilates has become synonymous with core strength and has a vital role in chiropractic treatment and personal training sessions. Many people have the stereotypical view that ‘core strength’ is defined by having a six-pack whereas core strength is defined by the diaphragm, pelvic floor, rectus abdominis, the transverse abdominals, the oblique’s, the low back extensors, and the glute muscles. Pilates focuses on building up the strength of these core muscles which in turn has a positive effect on posture and aids the reduction of back pain (a common complaint any chiropractor receives). At Camberley Chiropractic Clinic, we believe in Pilates as a key element to a patient’s recovery process which is why we offer classes at our clinic. Every Monday we run an intermediate Pilate class for those who have experience with Pilates and want to take their experience and knowledge a little further. However, if you are new to the benefits of Pilates and want to discover how our class can help, we run a beginner’s sessions every Tuesday and Saturday. To find out more about our extensive range of services and to see our class timetable, then Click HERE or alternatively contact us on 01276 21637. 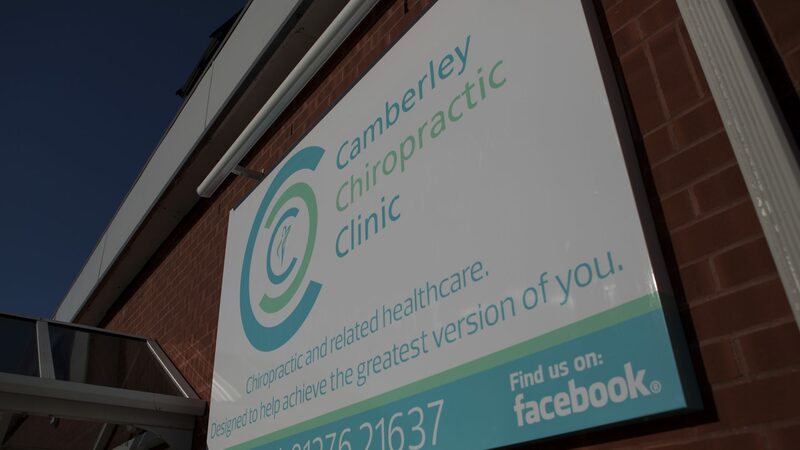 At Camberley Chiropractic Clinic, we are also offering all new patients a FREE 20-minute Chiropractic Assessment. To take advantage of this offer*, enter your details on our website HERE and one of the team will be in touch shortly. The offer is for new patients only and does not include treatment. A standard priced, new patient consult would be required if Chiropractic care is deemed to be appropriate.